Since the late ’80s, the car audio industry has experienced incredible levels of growth. New technology and features have expanded our opportunities to increase sound quality and enhance entertainment. What hasn’t changed are the core building blocks of how sound systems are designed. Every system starts with a source. We call this the head unit, source unit or radio. In more than 99.9% of vehicles, the source unit includes an AM/FM receiver, along with a CD player or USB port to play digital media files like MP3, WMA, AAC and FLAC files. The source unit also typically contains the volume control for the system. It used to be that a new source unit was the first component that would be upgraded on the path to improving the sound system in a vehicle. From the perspective of a quality improvement, this is becoming less and less common. Read on to find out about the benefits and limitations of replacing the factory radio in your vehicle. Can I Make the Switch? Look at a vehicle like a BMW, Audi, Mercedes-Benz or even a Mazda. Their radios are not stand-alone units at all. 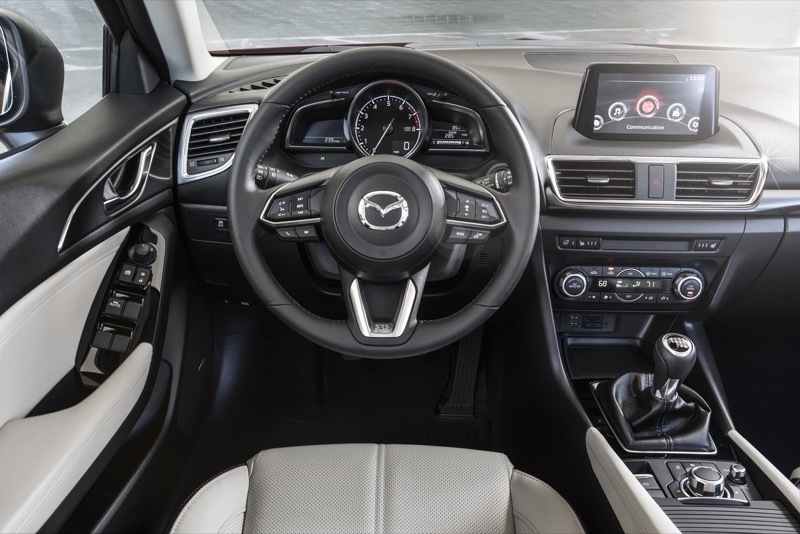 The Mazda 3 is an excellent example of a modern distributed source unit. There is a screen on the dash, a CD mechanism below the climate controls and a control panel in the center console. None of these components matches any size standard for an aftermarket radio. If you want to upgrade the sound system in this vehicle, you will not be buying a new radio. Thankfully, this radio has most of the features that people want. 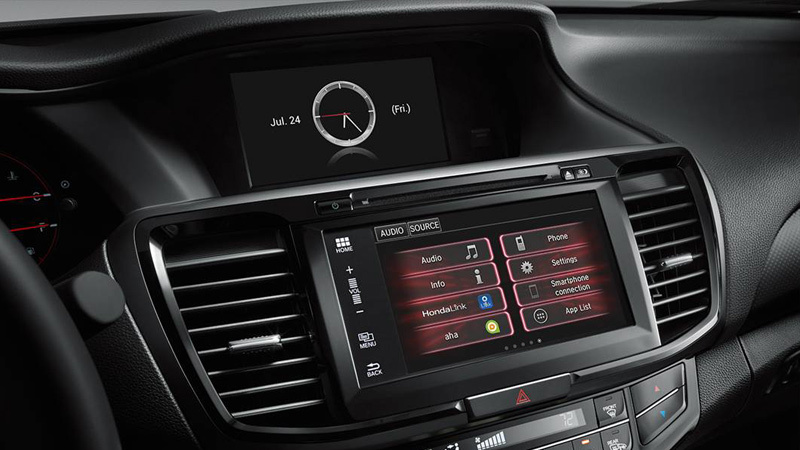 CD, MP3, SiriusXM, an auxiliary input and Bluetooth audio streaming are readily available signal sources. The system includes hands-free calling and a built-in GPS-based navigation system. Sadly, though, the system does not include Apple CarPlay or Android Auto smartphone integration. 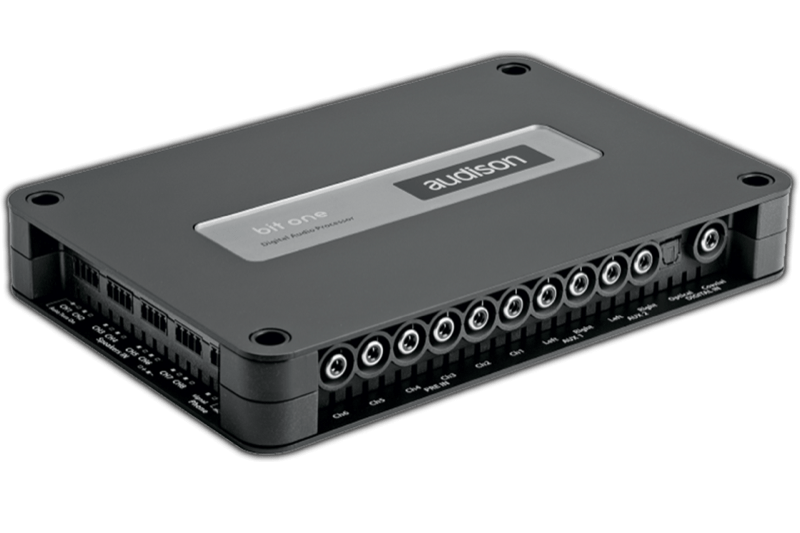 Processors like the Audison BitOne allow for tuning flexibility. If we want to upgrade the sound system, a mobile enhancement retailer can connect an amplifier and new speakers to the signal coming out of the radio. With some fine-tuning and a well-executed speaker installation, the quality of the system will improve. You will also be able to turn your music up louder. If you want to take things to the next step, then add a digital signal processor (DSP) to give your installer all the tools required to flatten any peaks or dips in the system’s frequency response and adjust for different path lengths between the listening position and your speakers. Let’s look at another popular compact car: the Subaru Impreza. Subaru manufactures durable, reliable vehicles, but their sound systems are not at the forefront of technology. In fact, several models of the Impreza are begging for sound system upgrades. Luckily, improving the sound systems in these vehicles is easy. Let’s look at what’s lacking and how to fix it. The recipe for improving the performance of an audio system does not vary much from vehicle to vehicle. The first step most retailers will recommend is to add an amplifier and a subwoofer. Adding a subwoofer will not only bring more bass to the system to make it sound more lifelike, but alleviates the need for the smaller speakers and factory amplifier to try to reproduce those frequencies. The result: Everything sounds better. 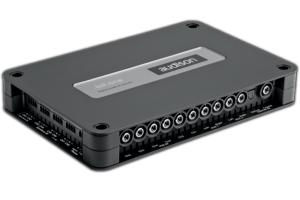 The JL Audio RD 5-channel amplifier can power an entire system. The next step is to add more power to the factory speakers with an amplifier. Many people will combine the addition of a subwoofer with a multichannel amplifier that can power the factory speakers at the same time. Five-channel amplifiers are an excellent choice for a single, easy-to-install upgrade. Multichannel amplifiers have built-in crossovers that will eliminate bass information from the smaller speakers, so they sound better. The last step in upgrading the sound system is to replace the factory speakers. Now, if you have listened to a factory Subaru stereo, this might be your first step. There is no right or wrong when it comes to the upgrade path you take. Keep reading to find out why we often leave this step to the end. We often suggest upgrading the speakers last because high-end speakers aren’t typically as efficient as the cheap speakers that come from the factory. New speakers provide smoother frequency response and much less distortion, and can handle a lot more power and play louder. When connected to a factory radio, there isn’t have enough power to experience all of the benefits of the new speakers. A speaker will only play loud when it is driven with adequate power. Wait – What about the Radio? You will notice that nowhere in the upgrade path did we suggest replacing the radio. The factory Impreza radio has a reasonable feature set and provides perfectly flat frequency response that we can use to improve your system. When looking at the goal of improving the sound quality of the system, the source unit is the last thing to change (unless you want to add high-resolution audio playback). We touched on Android Auto and Apple CarPlay. These technologies, along with Siri Eyes Free, FLAC file playback, Pandora and much more, are great reasons to upgrade a factory radio. However, these are not specifically performance improvements – they are feature enhancements. We could nit-pick about FLAC files sounding better (in a future article, we will analyze high-resolution audio in great detail.) If you want better sound, all the other upgrades offer a larger increase in performance for your investment than an aftermarket source unit. 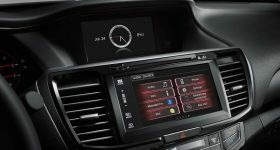 When it comes time to upgrade the sound system in your vehicle, visit your local specialty mobile electronics retailer. Let them know what your goals are for the system and work with them to design something that meets your expectations and your budget. Following our suggested upgrade process can yield impressive improvements with a reasonable investment at each step. Each upgrade will produce immediately audible benefits. Have fun improving your mobile sound system!